Have you got an incredible course and want to know how best to funnel leads and get those bookings? Imagine you sit down to study and find that someone has already highlighted the text book for you and revealed exactly which sections will be examined? Not only will you benefit from being hyper-focussed, but you will save a ton of time too. 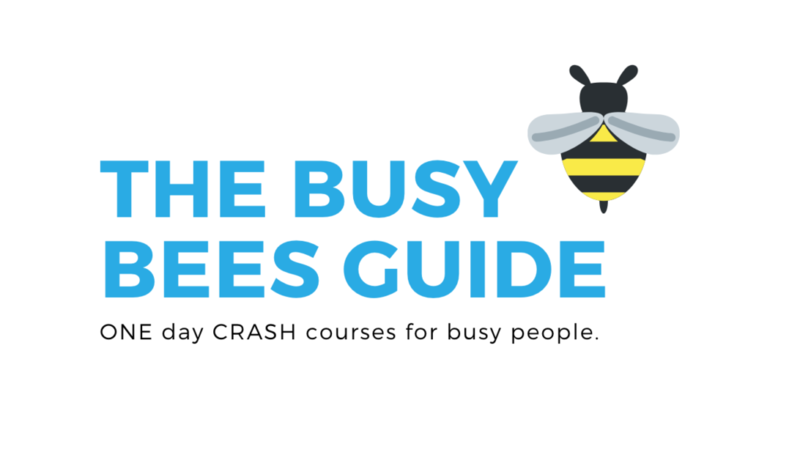 That’s what you get in the Busy Bees Guide – ONE day CRASH courses for busy people. The magic words I hear from clients are: ‘This is actually a lot simpler than I thought’. I clarify and sort large amounts of data for delegates to make the world of digital marketing digestible. Almost everyone considers themselves to be really busy. Why do TED talks and ‘Quick and Dirty Tips’ work? Because of the quality and condensation of content. That’s exactly why I’ve developed Busy Bees Guide – ONE day CRASH courses for busy people. The course titled ‘Everything you need to know about digital marketing for your course’ is currently under an introductory promotional offer of R999 ex VAT. Send an email to candice@phatic. co.za to book your seat on the course. The bookings are limited to 12 people per day. What is the course content going to cover? The content covers digital funnel marketing topics. You will receive a basic handout at the event plus some bonus materials…soon to be released!